We here at Entertainment Geekly have realized that we have neglected a core group of our fellow geeks. We have spent so much time reporting on news of geekly interest for fangirls and fanboys over the years, but have never once done a piece on and for FANPETS! Well, that ends today, because, thanks to the fine folks at Petco, new Star Wars toys and apparel are on the way to help all our dog and cat geeks out there rejoice! 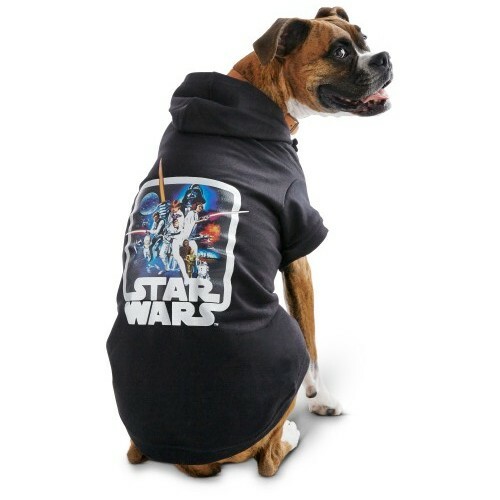 Many of our dog and cat readers are probably already aware of the amazing line of Star Wars items available at their local Petco and the Petco online store. Our personal favorite has always been the Chewbacca Hoodie and Princess Leia Cat Headpiece! 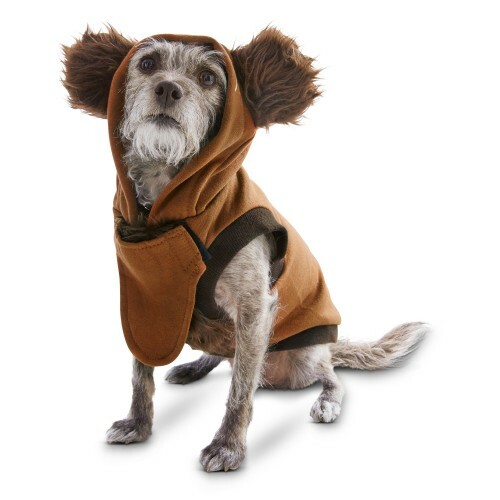 The newest items from the Star Wars Pet Fans Collection include an Ewok outfit for dogs and amazing vintage retro Episode IV hoodie as well. The new line will be available soon, so all you FanDogs and FanCats out there be sure to tell your owners the great news!